Class consists of warm-up followed by cardiovascular conditioning and strength exercises. No swimming experience necessary. 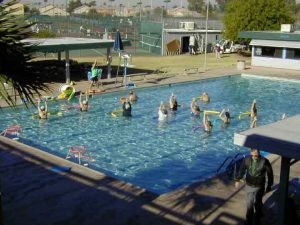 Exercise in both shallow and deep water (with float belts) with equipment (aqua bells, paddles, noodles, and balls). Both an aerobic and conditioning class.